By default, the Dock in OS X has a slight delay when you mouse over it and have "Automatically Hide and Show Dock" enabled. It can be a little annoying if you're in a hurry, but you can customize the speed at which it appears with this little hack — you can even make it show up almost instantly. Continue reading and we'll show you how this can be used to customize the autohide delay on your Dock. 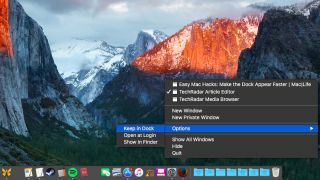 This will restart the Dock, and you'll immediately notice that when you have the Dock set to "Automatically Hide and Show the Dock," the appearance will be near-instant. Note: Using this trick, you can also increase the autohide delay. To do so, replace the 0 in the first command with a larger number; this is great for when you want to keep the Dock from showing immediately when moving your mouse cursor towards the bottom of the screen.